Michael Daniel Ho - The Wildlife Ho-tographer: What's Next, Canon? Hurry Up! What's Next, Canon? Hurry Up! Canon announced the PowerShot G1 X II camera a few days ago and some other also-ran products. The G1 X is my favorite PowerShot but the Series II is overpriced. This is not the kind of news I am hoping for in 2014. The EF 100-400mm f/4-5.6L IS II lens and the EOS-7D Mk II camera should be announced in the first half of 2014 without further delay. Nikon is expected to announce the D4s soon and this will take a lot of attention away from Canon. The EOS-1D X replacement is not expected until 2015 so they better hurry up and launch something that can excite the photography world soon. 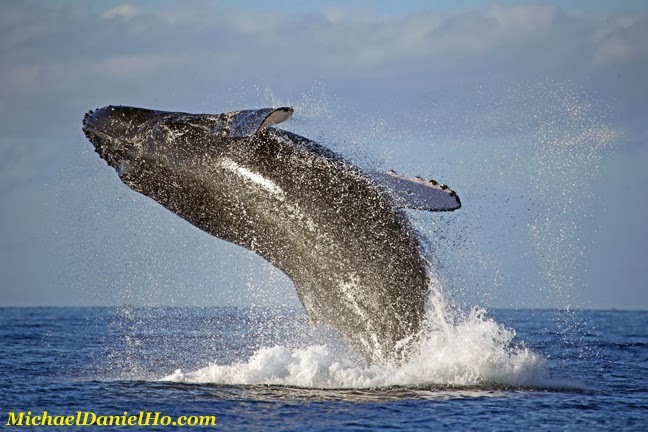 Currently, I am on location in Maui for a Humpback whale photo shoot. Visit my website MichaelDanielHo.com to see more wildlife photos from previous trips. Canon EOS-M2 Coming To The U.S. and Europe? Sigma 50mm f/1.4 DG HSM Lens Coming Soon? Canon EOS-7D Mk II Coming In March? New Canon DSLR Announcement In March? New Canon Macro Zoom Lens Coming In 2014?